Amazing CD, Amazing Music, Amazing Group! These songs bring us so much happiness and every time we play them. Highly recommend this CD! 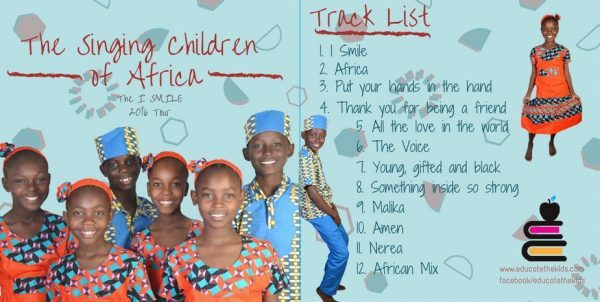 The CD was enjoyable bright and cheerful but I was a little disappointed that there wasn’t more traditional african music and songs. This may well be a popular addition to the fundraising.